While many advisors have long offered IULs as a way to help their clients supplement their retirement income (structured correctly, TAX-FREE), many are now turning to this product as a way to help control volatility within their retirement portfolios. A jolting reminder of past market downturns, recent market swings have left many individuals feeling uneasy about the negative impact market volatility could potentially pose to their hard-earned retirement savings. Just the other day, (8/24/2015), the Dow Jones opened and immediately started plummeting, hitting an historic 1000 point drop after the unsettling results of the Chinese Shanghai Composite, which itself declined an astonishing 8.5%. Not only was it a record historic drop, but the VIX Index indicated some of the highest levels of volatility, peaking at 53.29, not last seen since late January of 2009. Although many anticipated and speculated on the potential detrimental effects of China’s over leveraged borrowing economy and the Chinese government’s intravenous inflated market corrections; the Dow Jones 1000 point drop was still completely unpredictable. Even Goldman Sachs Asset Management division ended up releasing a statement to their stockholders (read it here) in loom of the nearly 600 point closing loss day for the Dow Jones. Although having a diversified portfolio is vital component to smart investing, is it always enough? According to Investopedia, Forbes, Mark Cuban, MarketWatch and even Warrant Buffett, it’s not. In fact, Investopedia and Warren Buffet speak out about the potential dangers of over-diversification in Investopedia’s article, ‘The Dangers Of Over-Diversifying Your Portfolio’. Where Buffett is quoted as saying, “wide diversification is only required when investors do not understand what they are doing” and Investopedia then goes on to clarify, “In other words, if you diversify too much, you might not lose much, but you won’t gain much either”. If you’re not familiar with IUL by now, let’s start with the basics. IUL is short for Indexed Universal Life, and is an insurance policy. You may be scratching your head thinking, what does a life insurance policy have to do with market volatility? Well as it turns out, IUL’s are amazing savings vehicles which have multiple upsides without many of the downsides found in your traditional 401ks or IRA accounts. One of those amazing upsides, along with being the premise of this article, is that of the locked in market gains and the shielding of market losses that IUL savings vehicles can provide. That’s right, IUL’s enable market growth gains, and locking in of those gains; while not being susceptible to any loss of principal. I know it sounds too good to be true, but it is. IUL’s can only sink to as low as ZERO net gains, never falling into the negative. This enables the ride of market upsides, without facing the negative downsides that can bring portfolio performance down to null. In times such as these, where international markets appear unstable, and the constant speculation of the FEDs increasing interest rates at any time; IUL’s are a great way to help provide your clients a safer, much less volatile retirement savings vehicle. With 43% of total marketing expenditures still being invested into direct mail marketing, what exactly is it that gives direct mail marketing its secret sauce? Could The Secret Sauce to Direct Mail be Reciprocity? The psychology of reciprocity has been deeply studied in the world of marketing. The basic concept of reciprocity goes like this; if you give something to someone, they feel obligated to give you something back in return. In an initial 1974 experiment conducted by Phillip Kunz, a sociologist at Brigham Young University; Kunz decided to send out 600 hand written letters to completely random households during the holidays to see what would happen. Remarkably, around 200 letters were received back, some of which detailed more than 3 pages in length; remember, these were complete strangers. So when it comes to direct mail and its comparison to other forms of marketing, why and how does reciprocity play a role? When done the right way, direct mail is targeted, local, personal, and compelling, with a relevant message and call to action for the end prospect; but perhaps most importantly, it’s tangible. As it turns out, people value that, in fact, people value something 24% more when they can see and touch it. 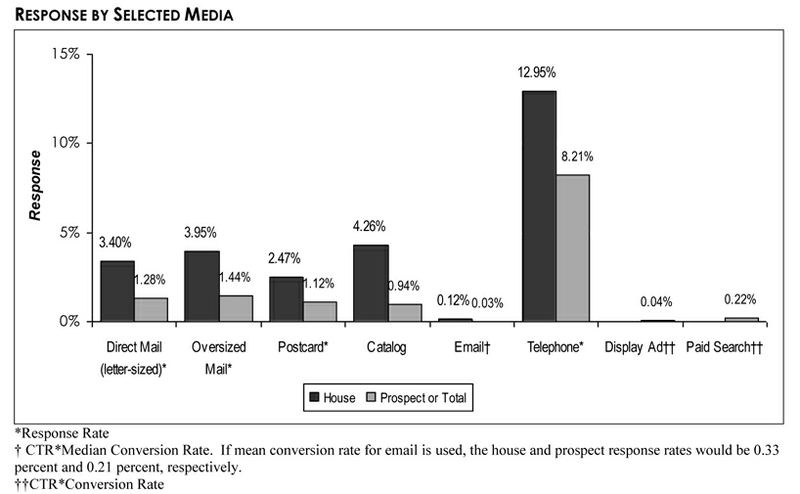 This is important to note because in an age of technology, mailers are getting increasing attention. Could this explain why direct mail continues to make such a powerful impact in the digital age? Perhaps it does, or perhaps the secret sauce remains a secret. Whether or not we’ve unlocked the mystery behind direct mails success, one thing is certain. Direct mail works, and it’s here to stay. For financial advisors, seminars are a frequent and common way to prospect for new clients. But, with sometimes only minutes to both educate, and connect; many advisors will often fail to connect with everyone. These 3 simple tips can help you increase those chances and enable you to build more business out of your seminars. The more you can engage your audience, the better your chances are to connect with them. The minute you lose someone’s attention, you’ve also started losing their interest. Even if the information you have is compelling and relevant, you need to communicate in a way that is also compelling and relevant! With that being said, do not underestimate the power of body language, vocals, and pauses during your presentation. A lot of advisors overlook the importance of being relatable in their seminars. Each audience is different and may consist of a slightly older or younger demographic. Understanding the differences between your audience’s demographics and telling a relevant story for them can go a long way in closing new business. Try to slightly alter your presentation and delivery to cater to that specific audience. If it’s an older crowd, give examples that would pertain to their generation and viewpoints. The more your audience can relate, the more likely they are to feel relevant in your story and presentation. One of the most effective ways to close more business at seminars is to provide some form of handout to your audience. This will allow your attendees to actively engage and provide relevant information along with submitting this information to you as the conclusion of seminar arrives. Not only will this keep your audience members more engaged in your presentation (by allowing them to take notes and fill out questions they may have throughout), but this will also enable you to identify specific needs and concerns with each prospect and provide a relevant follow up. If you’re a financial advisor currently doing seminars, you might be interested in hearing about how our targeted, custom, and proven direct mail pieces can benefit your attendance rates. You may also be interested in hearing about some of our completely turn-key marketing programs on Social Security, IUL, and One-on-One appointment setters. All of our marketing programs come standard with Presentations, Mailers, Scripts, Handouts, Training and more! Feel free to call us at 1(866) 855-3710 or submit your information here for one of our qualified marketing representatives to reach out to you today! Many baby boomers are nearing the age of retirement and starting to seek information on strategies for claiming their social security benefits. With that being said, the need for financial advisors has never been greater, but with well over 500 available strategies, potential clients can quickly become overwhelmed. Being able to communicate clearly and effectively on Social Security can mean the difference between a new client, and no client at all. Here are 3 simple ways to communicate more effectively with your Social Security prospects. Visual aids go a long way, especially when it comes to advising on Social Security. Some clients are simply visual learners; communicating benefits with just numbers alone can intimidate and make some prospects feel uncomfortable or incompetent. In addition, studies have also found that people will process visual information much quicker, according to findings by 3M & Zabisco, “90% of information transmitted to the brain is visual, and visuals are processed 60,000X faster in the brain than text”. By using visuals you’ll be able to create the connection quicker and more intuitively with your prospective clients. Here are a just a few visual aid example formats: Graphs, Charts, Infographics, Videos, Photos, and Data Imagery Representation. Although clients want to feel comfortable with their advisors, they also care just as much, if not more, about their bottom line. Clients want to see how much they can earn or save over time, and that you actually know what you’re talking about. For this reason, having some real life examples mocked up prior to the meeting with your potential clients is important. Even more important is showing the client how much they could potentially lose by claiming the wrong way, or how little they could be potentially earning if they claim wrong. These numbers of low earnings during crucial periods of people’s retirement ages can make very strong emotional impacts. Extrapolating on hypothetical examples can only go so far in the clients mind, so instead of only relying on that information, try to add context for them. You can do this by asking them simple questions before they arrive for a consultation. Do they have a spouse? Are they currently working? How old are they? When do they plan on retiring? Use this information to adapt the scenarios and numbers into more concrete data that’s actually relevant to them specifically. By doing this, the clients won’t have to contextualize the information you are giving them. This will simplify the solution for your prospects, so they can start understanding the direct impact your strategy could have on them today. Utilizing these steps in simplifying their eligibility choices and pointing out the claiming strategy that will best benefit their individual circumstances is a great way to get potential new prospects in for a retirement income review. The valuable information contained in the Social Security Analysis Report is something that many Baby Boomers are anxious to receive. This report is the marketing “hook” financial advisors have been waiting for, helping to ensure these potential new clients will show up to learn what their options are and just how Social Security will be incorporated into their entire retirement income plan. Here at Resource Solutions, we provide the entire turn-key marketing solution. Our proven effective Social Security marketing program comes with everything from proven effective invitations, powerful presentations, reservation services and even Social Security analysis software to run that report that will bring new clients into your office. All of this and much, much more! If you’re interested in hearing more about this incredible marketing strategy and what sets ours apart from all the others, feel free to call us at (866)-855-3710 or contact us today! Let’s get straight to the point; when it comes to prospecting for new clients, there are many new marketing strategies available for financial professionals to implement. So when making the decision on which marketing strategy will achieve the most optimum results, why should advisors be interested in taking the plunge into direct mail marketing over all of the other and newer alternatives? Well here are a few of the main reasons that really speak for themselves as for why direct mail still works BEST (if not better) for financial advisors in 2015. In the finance world, numbers mean everything; it’s easy to over inflate claims and to glorify statements without backing it up with data. For that reason, let’s start with some recent 2014, to 2015 data and findings. Are you surprised to find out that despite living in the technology age of today that mailers are still one the most effective marketing strategies out there? Don’t be, with an ever decreasing attention rate online, mailers are the perfect medium to get your message across and make a good first impression as a financial advisor. The reality is that it’s easy to close an advertisement online, or to overlook an email, but with direct mail there seems to be more of an organic connection which can be indicative of these results. Direct Mail is Considered to Be The Most Authoritative – *Very Important Attribute for Financial Advisors. On top of all the recent studies and surveys highlighting the benefits of direct mail over other alternatives, perhaps one of the most relevant and revealing findings for financial advisors is that on the authoritative results findings. Royal Mail’s MarketReach research report found that, direct mail is seen by customers as being more authoritative over digital. With that being said, for financial advisors, being seen as an “Expert” is incredibly important and authority is a perhaps one of the most critical characteristics for this form of perception to take place. So in addition to getting those higher response rates, advisors also feel the bump of being perceived in this light by using direct mail. As a direct mailing company exclusively servicing financial professionals, Resource Solutions is proud to be the premiere direct mail marketing company in the nation. In addition to our customized proven effective seminar invitations and one-on-one appointment setting programs, we have truly set ourselves apart from our competitors offering complete turn-key marketing programs our Social Security Maximization System, IUL Solutions, and Social Security for Women. By offering everything imaginable in the financial services marketing arena, we have become the #1 trusted go-to marketing company utilized by hundreds of advisors across the nation. If you’re ready to start experiencing the results that direct mail can deliver, contact us today at (866)855-3710! Many of the basics and fundamentals of marketing 101 are being overlooked or forgotten in today’s marketing campaigns. These fundamentals can mean the difference between your products success, or failure. Although these marketing tips may seem simple, their importance can not be understated. Here are the 3 most significant things you need to consider thinking about for your next marketing campaign! This is one of the most crucial, and yet often most overlooked aspects lacking in many modern day marketing campaigns; targeting a specific customer segment. Although the logic might not seem intuitive at first, the concept is simple. By being more direct and narrowing your target audience down to a specific customer segment, you will be able to hone in on very particular characteristics and taste profiles found within that particular segment. This approach tends to be much more effective than trying to target everyone and losing the effectiveness of your message or just not connecting with your audience at all. If you haven’t already started segmenting your customers or potential customers, now is the time to start. Segmenting will allow you to identify your most profitable customers as well as allowing you to better understand your customers’ particular needs and preferences. At the heart of any good marketing campaign, there should be a clear and concise message being delivered. All good marketing starts and ends with concise and clear messaging. If you are going to start a new marketing campaign for your product or service, the first thing you should consider, after identifying your target market, is the message. What particular issue or ‘pain’ are you solving for this particular customer segment? How are you going to provide a solution to this ‘pain’, and why is it better than any other solution (if any other solutions are currently available)? Give customers the ability to acquire your solution right away, whether through a phone call, a website link, or some other way they can take immediate action on. We live in an era where everyone and everything is increasingly competing for your attention. Whether it is a T.V., Smart Phone, Mail, Social Network, Newspaper, Radio, Email…etc. Even if you know your audience and have a clear message, your material needs to be unique and stand out from all of this background noise. Sometimes it can be as simple as a clever design, an intriguing line, or just some very high quality material to engage your customer and grab their attention.